The final line-up for the 2019 Gold Cup has been confirmed following a nailbiting conclusion to the domestic club season in the Boland town of Worcester on Saturday. 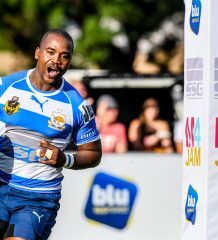 An intercept try deep into injury time gave Onelogix United Bulk Worcester Villagers a 36-29 win over defending champions Roses United in the Boland Grand Challenge final, held in front of an estimated 12,000 fans at one of the country’s most iconic and historic venues, Esselen Park. Villagers’ victory brought the curtain down on one of the longest club seasons on record, with both the Boland and Western Province leagues, at one stage threatened with cancellation, only kicking off in June due to the drought that devastated the Western Cape. The 2018 season was also one of the most memorable in years, with large crowds commonplace across the country as club and community rugby showed a remarkable resurgence in popularity. The newly-crowned Boland champions, established in 1883 and celebrating their 136th anniversary in 2019, will having the honour of being the oldest club in next year’s Gold Cup. They will join the 15 other teams already confirmed for South Africa’s flagship national championship for non-university clubs, amongst them 2017 finalists College Rovers, who will be celebrating a milestone 120th year of existence, having been formed during the Anglo-Boer War in 1899. The most remarkable omission is that of current champions DirectAxis False Bay, who lost to Durbell in the semi-finals of the WP Super League. A decision taken in 2016 to no longer extend an automatic invite to the defending champions means that Bay will unfortunately not be able to defend their title in 2019. Changes to domestic and international season calendars will see the Gold Cup henceforth occupy a slot early in the season, with the 2019 edition kicking off on Saturday 9 March and concluding with the final on Sunday 14 April. The 16 teams will be divided into four pools of four, with each team playing three pool matches. The top two teams in each pool will proceed to the quarter-finals. The pool draw and fixtures will be confirmed by SA Rugby in the next few weeks, with a number of additional exciting announcements to be made before the start of the tournament.